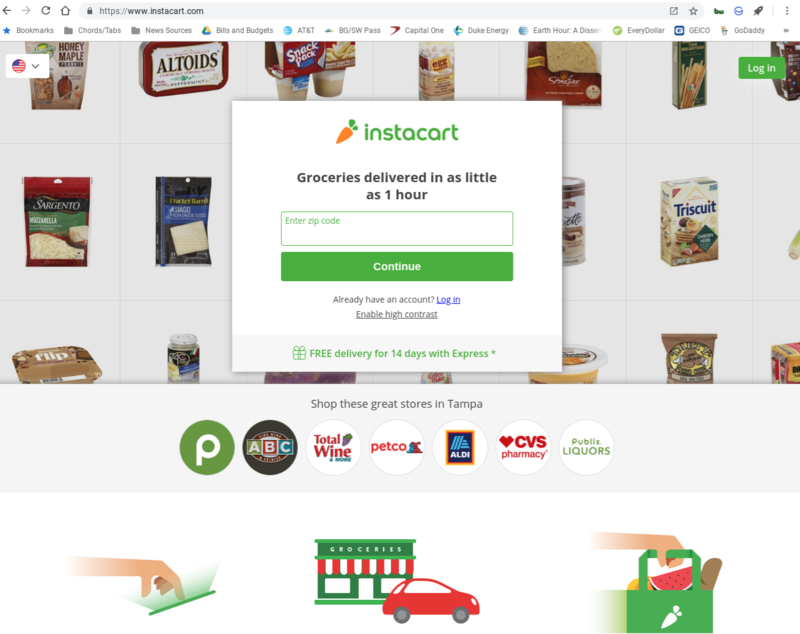 Same-day grocery provider, Instacart, is now giving its customers the option to order food and pick it up later on in the store. The company has actually been testing the service for the past few months. Now, it’s rolling out to 25 cities in the U.S.
Now, wherever available, Instacart customers can log onto the service, pick out their groceries, and then choose a pick up window that’s most convenient. When the order is filled, the service will alert its customers and those customers can respond with a pick up time and vehicle description. Stores already offering the pickup service include Target, Walmart, and Whole Foods. But now, it will expand to include more retailers. Presently, the service is available in 200 stores, across 25 cities. The company states it will expand this service throughout 2019.